Titiwangsa station is a rapid transit interchange station in Kuala Lumpur, Malaysia that allows for transfers between the Ampang Line rapid transit system (formerly known as Star, and the Ampang and Sri Petaling Lines) at one station, and the KL Monorail (KL Monorail). Seamless physical and fare integration was achieved on 1 March 2012 when the "paid-up" or restricted areas of both the LRT and monorail stations, which previously operated as two separate stations, were linked up, allowing passengers to transfer without needing to buy new tickets for the first time since the monorail became operational in 2003. Situated at Tun Razak Road (Malay: Jalan Tun Razak) in the district of Titiwangsa, just beside the Pekeliling Flats, the stations are also located close to the Gombak River, as well as an adjoining bus station. 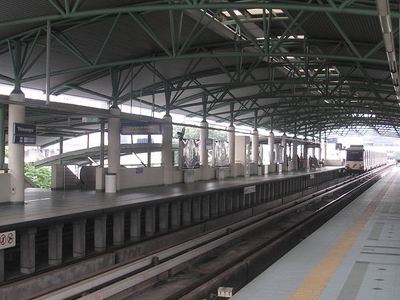 Opened in 1998 as part of the line's second phase of development, the station was intended to connect Titiwangsa to other parts of the city and surrounding areas. Under Phase 2, a 15 km track with 11 stations was built to serve the northern and southern areas of Kuala Lumpur to cater for the Commonwealth Village and National Sports Complex in Bukit Jalil, during the KL Commonwealth Games in 1998. 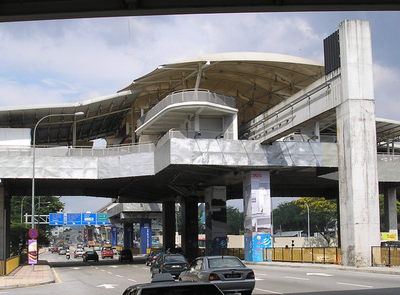 The Titiwangsa LRT station is a rapid transit station along an Ampang Line route shared by trains traveling along the yellow route to Ampang or the green route to Sri Petaling. Opened in 1998 as part of the line's last phase of development, the station was intended to connect Titiwangsa to other parts of the city and surrounding areas. 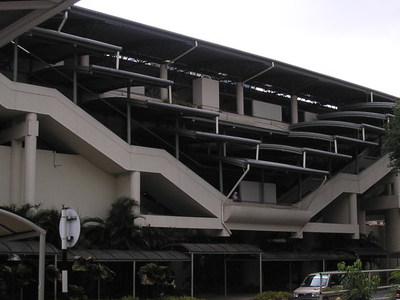 The station, like all stations along the northern stretch of the Star line, is elevated, with platforms located on the top floor and ticketing facilities located on the mid-level. Here's the our members favorite photos of "Railway Stations near Chow Kit". Upload your photo of Titiwangsa Station!